A relatively mild winter and more recent damp conditions have favoured development of powdery mildew, which has been identified in crops throughout the country. Growers are being advised to incorporate a mildewicide in with the T0 fungicide, to avoid the infection spreading onto new growth. According to North East agronomist, Andrew Roy, Glacier, Tower, Infinity and Cassia are currently among the most severely infected barley varieties, while Leeds is one of the worst affected wheat varieties, although the disease is present in nearly all crops. He says: “With this level of active disease, the case for a T0 fungicide application in barley is strong and plans are being drawn up as we speak. 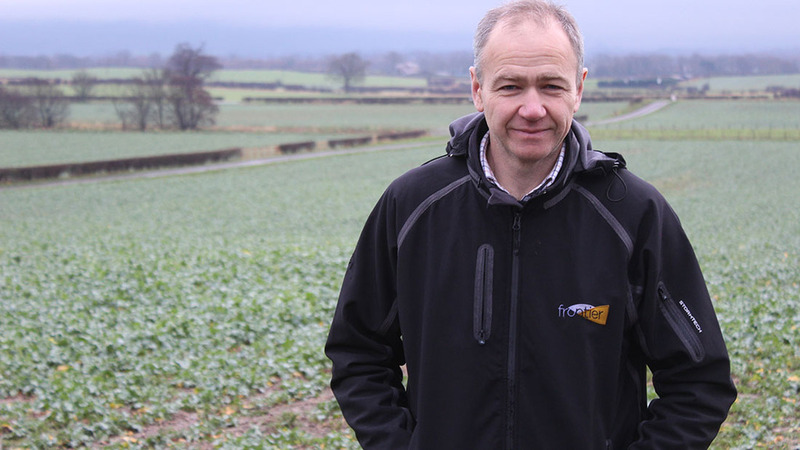 For growers looking to control the disease at the T0 timing, Mr Riches advises using a fungicide that delivers both protectant and eradicant activity, in order to keep one step ahead of the disease. High levels of the disease have forced some growers to consider a T0 application, even where the T1 is normally the first fungicide application. Aberdeenshire grower, Graham Kindell has seen severe infection in a crop of KWS Tower, prompting him to apply a T0; something which he has rarely had to consider. “If I don’t apply a mildewicide in the next couple of weeks, I can’t see the crop recovering and if I wait until T1, I think I would be chasing a lost cause and I would never really get on top of the disease. “We get very cold winters up here and so there has only been a handful of times when I have had to resort to an early fungicide application, but this year, it is definitely justified,” he says. While mildew is not considered the most damaging disease, growers are assured there is a lot to be gained from providing adequate control. 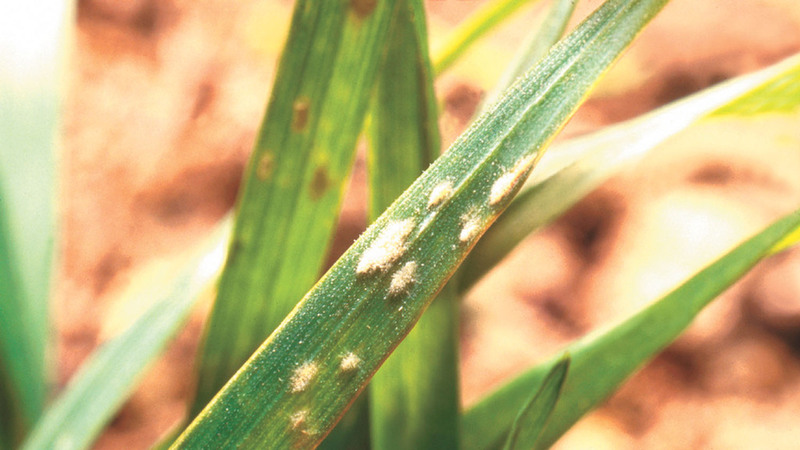 Mr Riches says: “Although the impact to yield is generally not as costly as we see with the likes of septoria, powdery mildew infection can still impact the bottom line, so it’s worth investing in an effective mildewicide.